Los Angeles (AFP) - Canelo Alvarez will follow up his middleweight world title win over Gennady Golovkin by taking on Britain's World Boxing Association super middleweight champ Rocky Fielding in New York in December. "I'm very excited to announce my next fight," Mexico's Alvarez tweeted Friday, revealing the bout will be held at Madison Square Garden. "Next December 15th at the New York MSG. Taking on a big challenge. I will fight for the world title at 168 pounds versus Rocky Fielding, the current WBA champion!" 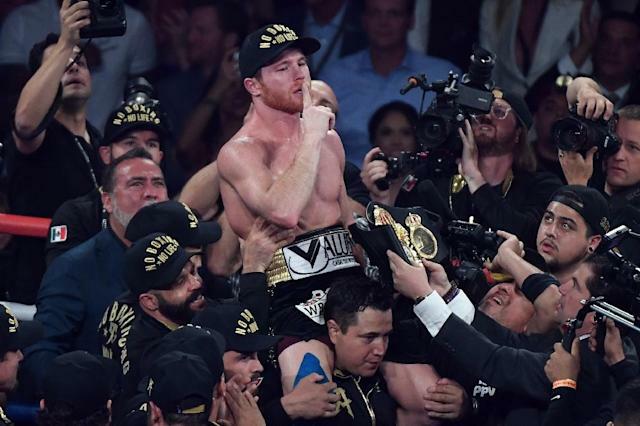 Alvarez ended Golovkin's unbeaten reign as unified middleweight champion with a majority decision in Las Vegas on September 15, seizing the World Boxing Council and WBA middleweight belts. Fielding, 31, became the WBA's "regular" world champion in the super middleweight division in July with a knockout victory over Tyron Zeuge -- although the WBA recognizes fellow Briton Callum Smith as the "super" champion in the division after Smith's knockout of George Groves in Saudi Arabia in September.